Why do certain buildings last hundreds of years and others mere decades? Composed of a series of diagrams, tactics and tools for thinking about, designing for and implementing adaptability. A range of building types across the world illustrating both successful and less effective examples of adaptability. 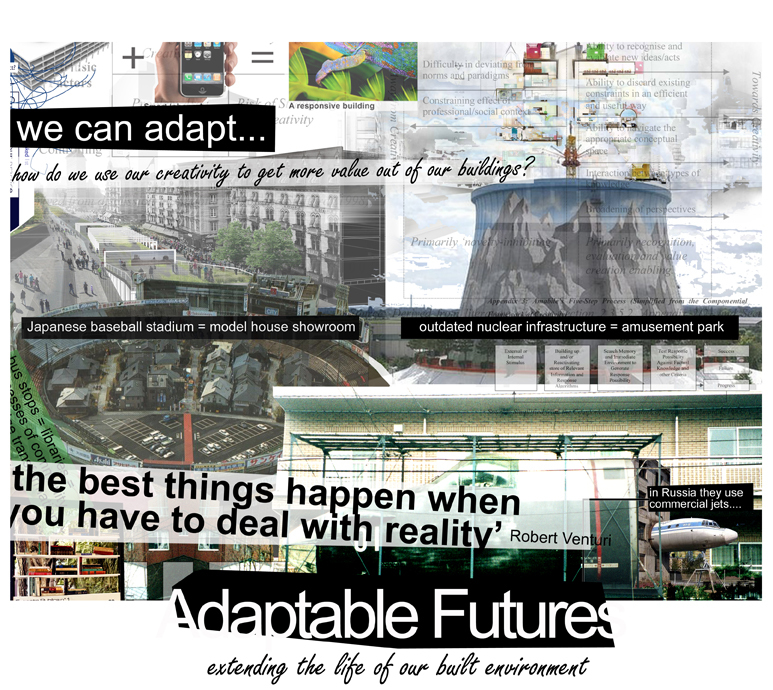 Interested in adaptability? How your approach may compare to other designers or practices? An open student design competition calls for students to illustrate how the life of their design proposal unfolds over time. 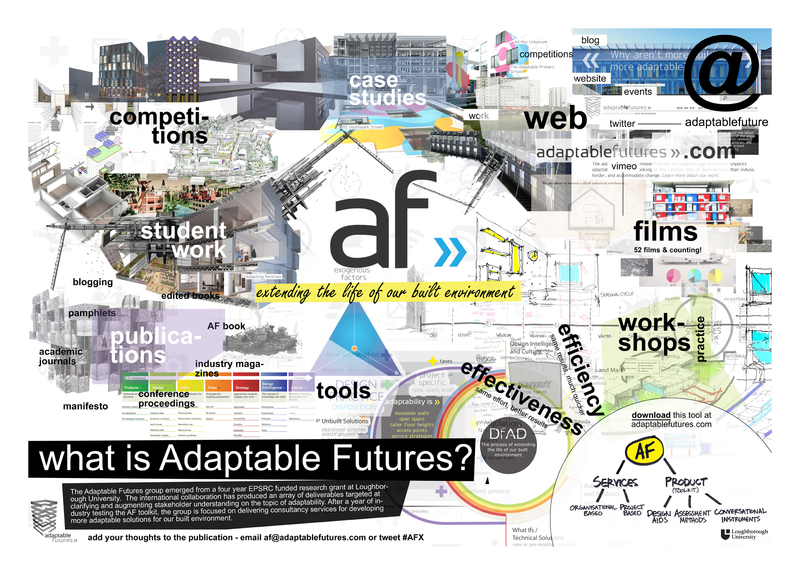 The adaptable futures research group at Loughborough University unpacks adaptability in detail looking at the complex web of dependencies that induce, hinder, and accommodate change. The work includes designing for adaptability, flexibility and the adaptive reuse of our building stock and urban spaces.